“We must accept finite disappointment, but never lose infinite hope.” By Martin Luther King, Jr.
September 9th in Costa Rica was “National Children’s Day” and is celebrated annually. Children’s Day was to be a time to observe and promote the welfare of the children of the world. Because the Sabbath was on the 9th this year, students in Copey were out of school yesterday to enjoy a wide range of festivities in their community with their families and friends. Dating back to 1946, Costa Rica was one of the first countries to celebrate Children’s Day. Eight years after Costa Rica began celebrating, the United Nations made a formal recommendation that all countries do the same. Governments were left to designate a date as each nation saw fit, but the goal was intended to be universal. Below are some of the great looking children in Copey! There is more news in Copey. The Copey Learning Center has added another staff member to help build and develop on the success of the Copey Learning Center. 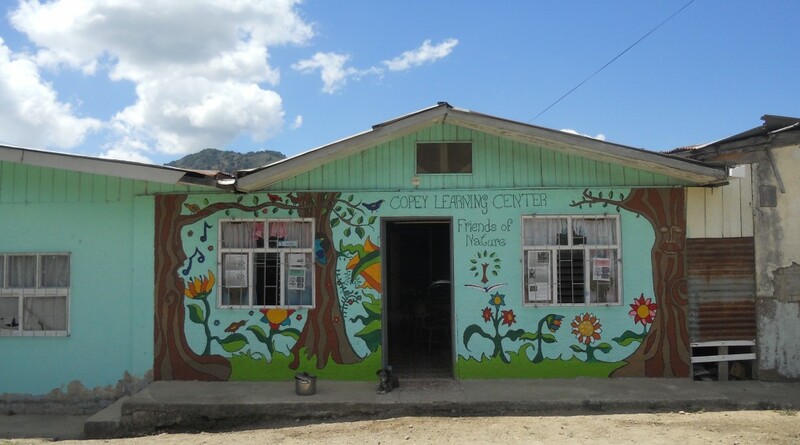 Ms. Andrea Serrano Cortés joins Ana Yancy and the volunteer teachers devoted to the mission of the Copey Learning Center. I enjoyed speaking with Andrea yesterday via Skype and I plan to share more details of her background in a future Post. Also, I welcomed Ms. Pat Kozub who is a volunteer teacher from Canada. She will be assisting Ana Yancy and Andrea during the final months of this school year. Unfortunately, it is not all good news in the Copey area. I call on each “Friend” to take a moment to offer a prayer of hope and support for Ana Yancy’s family. Her sister Marta, is currently hospitalized in San Jose fighting cancer. Ana Yancy’s family is very close and this is an extremely difficult time for them. On the morning of September 11, 2001, Anne G. Broady woke up expecting to spend the day celebrating her 76th birthday. Her family and friends also expected a fun day full of well-wishes, cards, and some cake in recognition of Mom reaching this great milestone in her life. But, Mom’s birthday and much of the attention planned for her that day was interrupted by the horror of the attacks on the Trade Centers, the Pentagon, and the loss of Flight #93. For the remaining years of Mom’s life, she as most others, shared that day in history being more focused on the loss of life. “Friends of Copey” is fortunate to have friends all across this country and some reside in the path of Hurricane Florence. We [Friends] extend our hope and prayers to all impacted in some way by the impending and predicted devastation. I call on all “Friends” to keep everyone residing in the areas of danger in your thoughts and prayers. Prayers are being said for Marta, that she will be held closely in God’s hands. May her family be strengthened and comforted knowing He is in charge. A time of much concern and prayer for those in the path of the hurricane coming into the East coast of USA. I welcome the good news of Andrea and Pat to the team serving as “friends” of Copey. May you be blessed! Thank you for your service to the children and the Copey community.